Have you ever wanted to try your hand at Oil painting but didn't know where to begin. 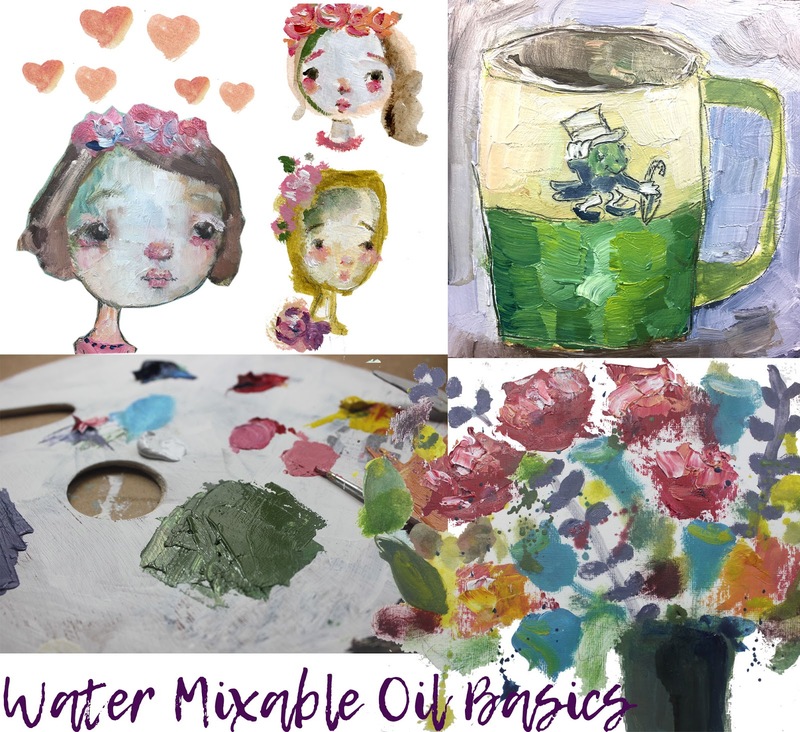 I think if you are a watercolorist, mixed media, or acrylic painter then water-mixable oils is the perfect way to try your hand at oil painting. I love that it cleans up nicely with water. 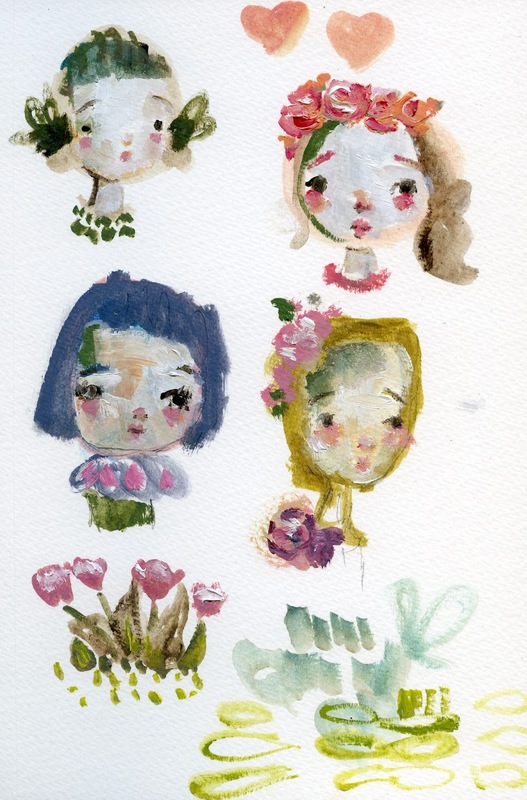 This is definitely a way for you to experiment with oil paint without breaking the bank. Guys, this oil paint is super inexpensive and we'll only be using 5 colors. I'll show you how to mix color and thin it out so it brushes on and moves over your substrate. it mixes with water, so no messy solvents and fumes! princeton brushes - angle 1/4", fluffy mop 1/4"
brush cleaner - it's a good idea to get this brush cleaner. 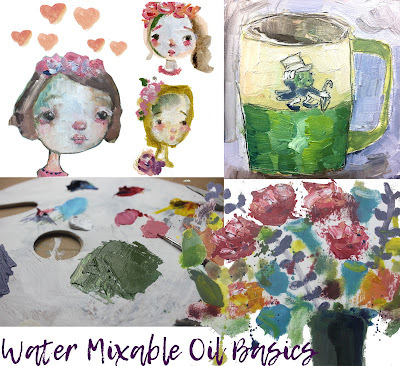 You can use this with any paint but it is needed for these water-mixable oils. journal with thick paper (could be mixed media or watercolor paper). we will be doing our thumbnail oil sketches on this. I need your help spreading the news about this class - update: winners announced! !